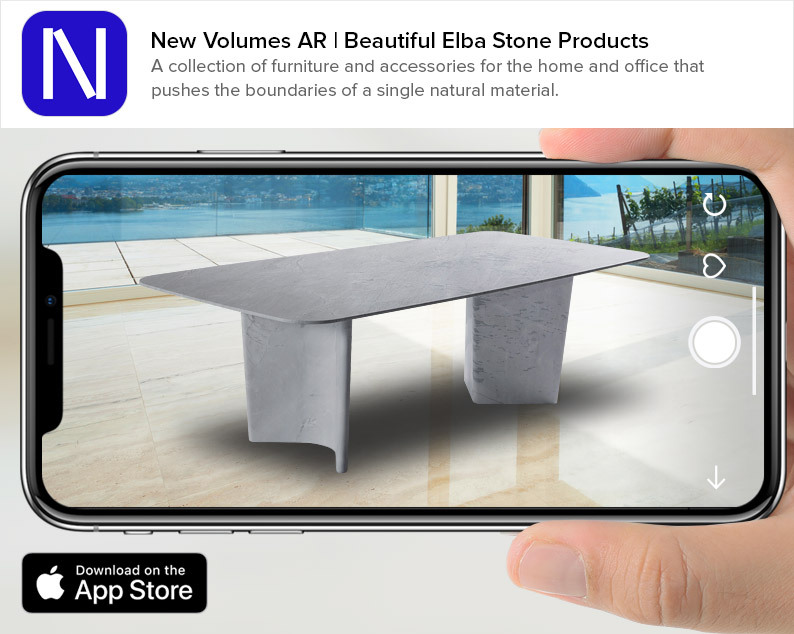 INHAABIT has partnered with New Volumes to release an incredible Augmented Reality app that allows you to experience the exquisite detail of natural Elba stone products, directly in your home or office. Elba is a highly sought after material, harder and more unique than marble and has been a symbol of luxury for thousands of years. New Volumes push the boundaries of what can be created with this material, delivering beautiful hard-wearing, naturally resilient furniture and accessores that are easy to live with. As part of the process of developing the collection, New Volumes collaborated with designers who had specific skills working with the exceptional material. The result is a chic collection – a paragon of sophistication and elegance. Using Augmented Reality, the New Volumes AR app gives you a first class experience of the beauty of Elba stone, which has travelled all the way from the Grecian quarries. The products appear ultra-realistic, capturing the full detail of the sculpted stone right in front of you. See the incredible detail and beauty of each product in Augmented Reality. Try them directly in your home with true to life sizing and material. 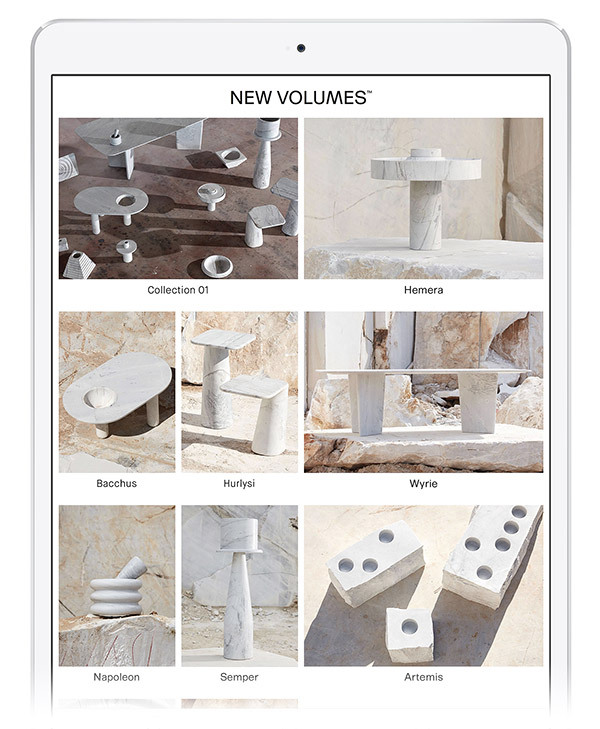 Place multiple products together to see the full New Volumes collection side by side.